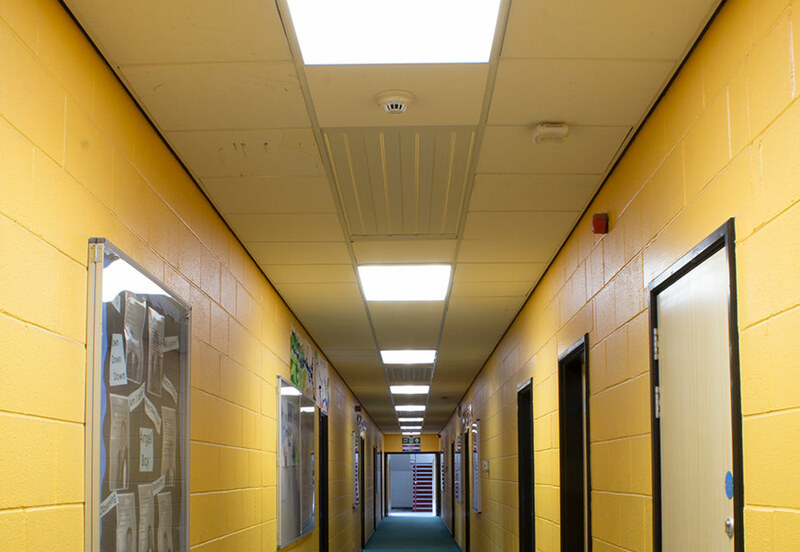 Redcar school cuts lighting energy consumption by 38% with low-energy upgrade technology from Tamlite Lighting, using interest-free funding. 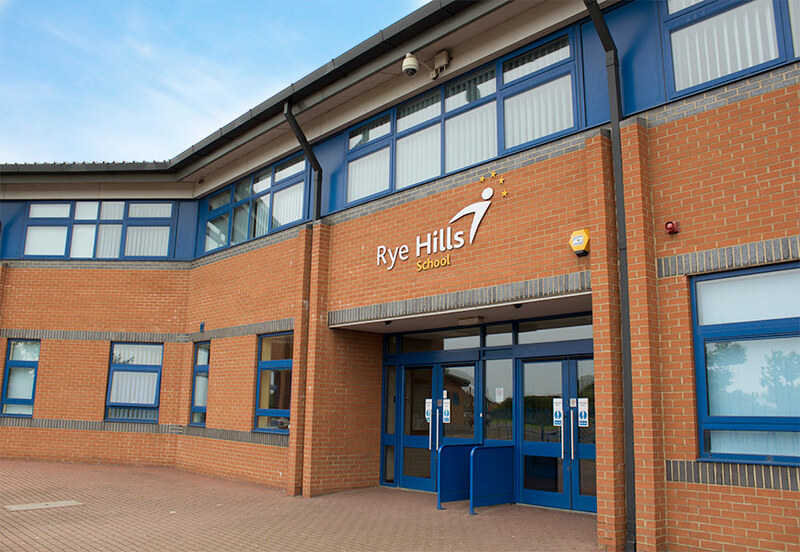 Rye Hills is a busy Redcar school with a 900-strong student body and a clear commitment to high standards. However, until recently it also bore another, less positive tag: the school was the biggest producer of carbon in the whole of its county - responsible for more CO2 than any other local school. Understandably, finding ways to cut carbon was therefore high on the agenda. With budget restrictions beginning to bite, changes were also needed in order to lower maintenance needs and reduce energy bills at Rye Hills. The school's director of facilities, Stuart Smith, was proactive about identifying energy-efficient improvements that could be made. These improvements ranged from building controls to variable speed drives for the air handling units, but lighting also emerged as a key area where energy could be saved. "The energy-hungry, old-style fluorescent lights in corridors and the sports hall were left on continuously between 6.30am and 9pm, regardless of whether these spaces were occupied," comments Stuart Smith. "We definitely felt it was a priority to upgrade the lighting to modern equivalents and use sensors to eliminate the old practice of lighting empty spaces. "We got in touch with Tamlite's sales engineer, Alan Love, who came up with a lighting scheme to do exactly that. Originally, we had 200 fittings of 4 x 36W in the corridors, burning all the time the school was open. Using bright, modern fluorescents, we were able to reduce this to 3 x 28W fittings. And, when there's no one occupying the space, the lighting dims to 10%. As soon as someone enters the vicinity, it immediately ramps up to 100% again." 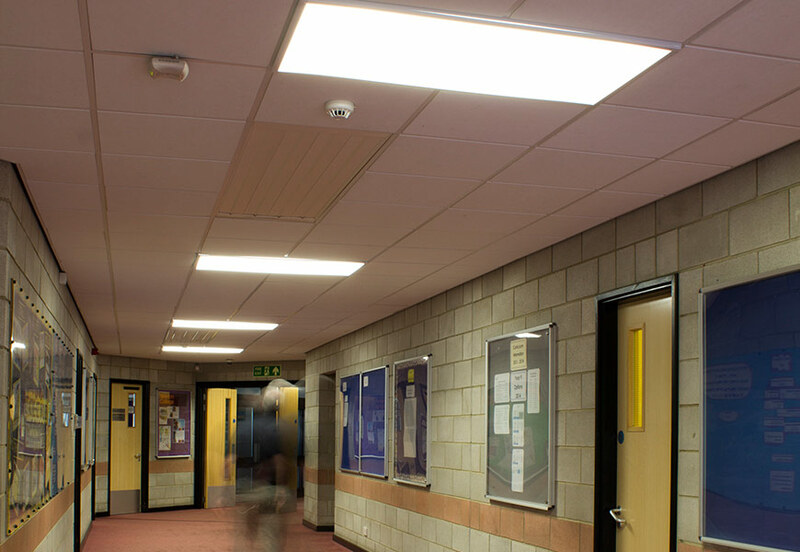 The school was able to secure interest-free funding for the lighting upgrades from Redcar and Cleveland Borough Council's carbon management fund and the government-backed Salix Finance scheme. 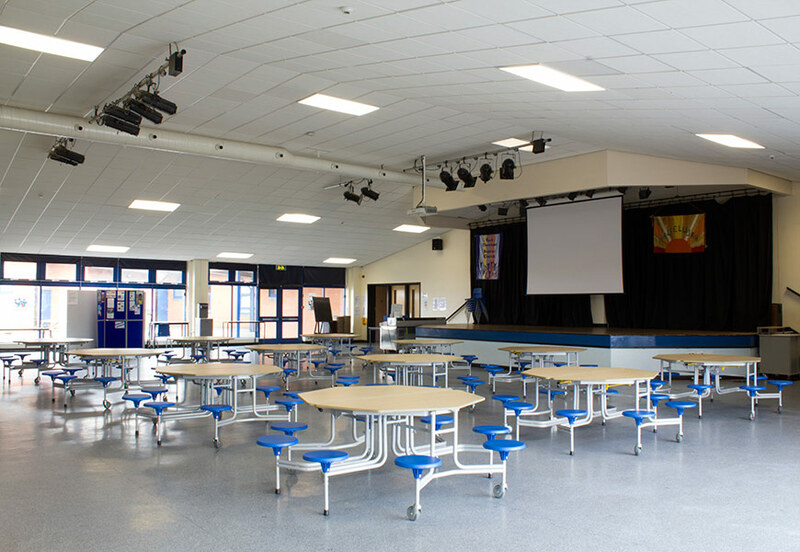 New-generation, low-energy fluorescent lighting was installed across all of Rye Hills' corridors and in its canteen and sports hall. 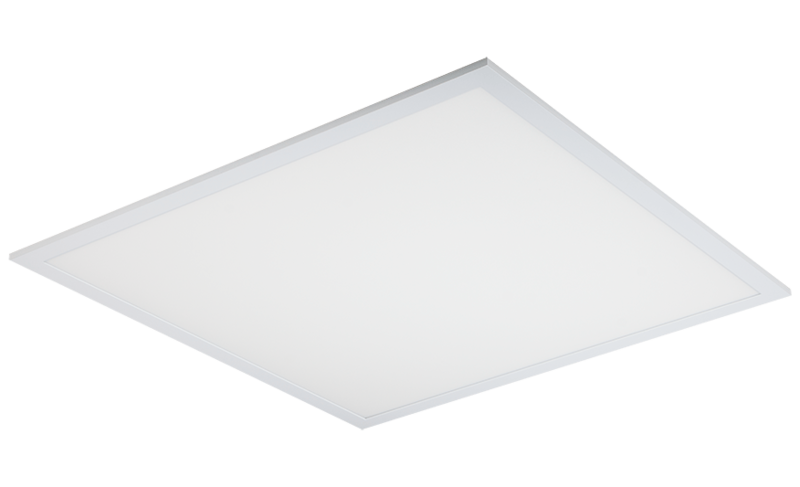 Tamlite's TREM range of versatile recessed fluorescent modules, fitted with T8 lamps, was chosen for the corridors and canteen. 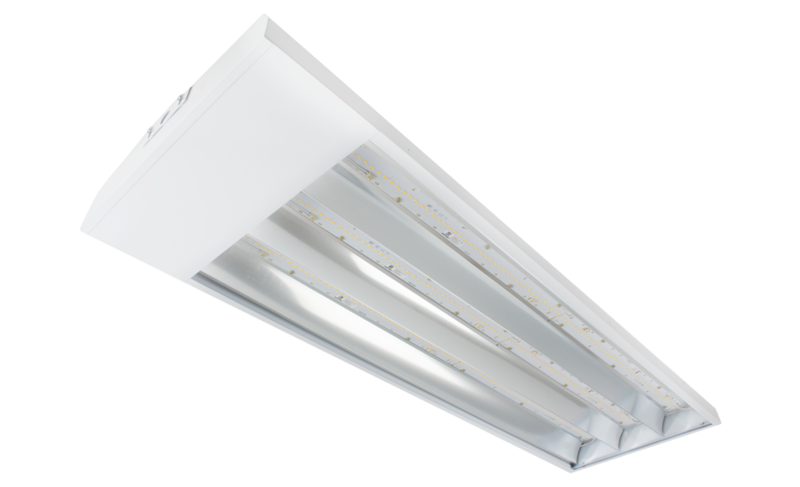 Sleek and modern, the TREM luminaires provide a neat fitted appearance, with the benefit of improved energy efficiency. In the sports hall, Tamlite's HILUX range was installed. 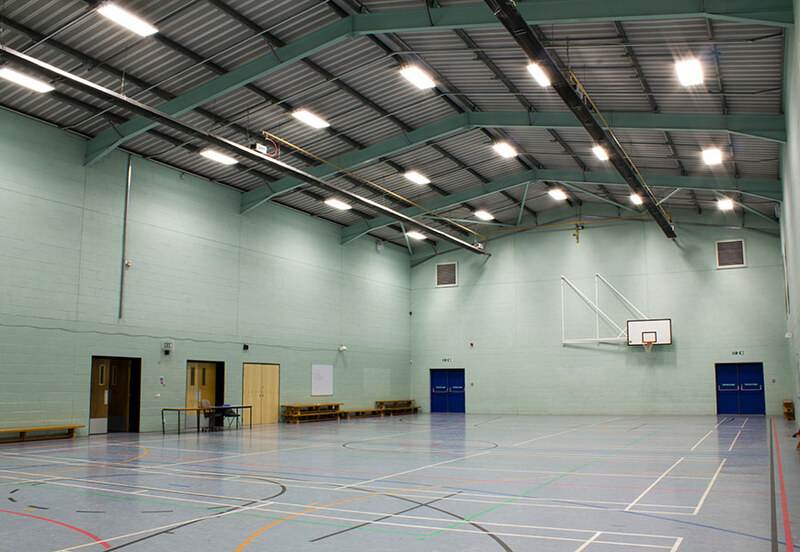 Despite being a large space with a high ceiling, in the sports hall, the low-profile HILUX fluorescent luminaires, fitted with T5 lamps, are able to achieve high light output at low energy consumption. A microwave sensor was also fitted in the sports hall, so that the lights automatically switch off as soon as the last person leaves. As a result of the new lighting, Rye Hills has achieved significant savings on its energy bills and maintenance costs. 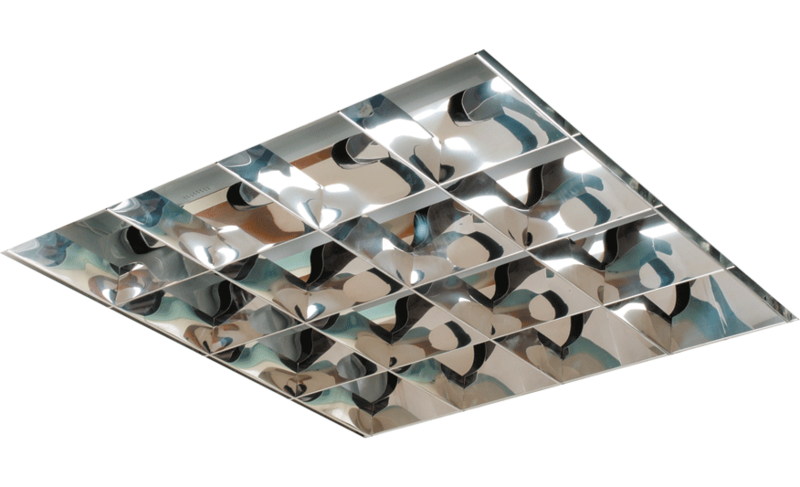 "We're very happy with the new Tamlite scheme of lighting," says Stuart Smith. "Having analysed the energy data, I calculate that we've cut our lighting energy consumption within this area by 38%. That equates to a saving of £574.80 every year. The lighting is on track to achieve payback in just five years." What's more, with the help of its new lighting and other energy-saving measures, Rye Hills is no longer its county's highest emitter of CO2 emissions: it has succeeded in driving down its carbon footprint substantially.